Philips Norelco Multigroom All-In-One Series 3000 Just $16.45! Down From $21! You are here: Home / Great Deals / Amazon Deals / Philips Norelco Multigroom All-In-One Series 3000 Just $16.45! Down From $21! This #1 Best Selling Philips Norelco Multigroom All-In-One Series 3000 is currently on sale at Amazon for just $16.45 down from $20.99 PLUS FREE shipping with Amazon Prime or for orders over $25! If you’re looking for a gift item for your husband or male partner then this is a great idea! The Philips Norelco Multigroom 3000 is an all-in-one trimmer with everything you need, and nothing you don’t. The toughest multipurpose trimmer boasts tempered steel cutting blades that self-sharpen and won’t rust. 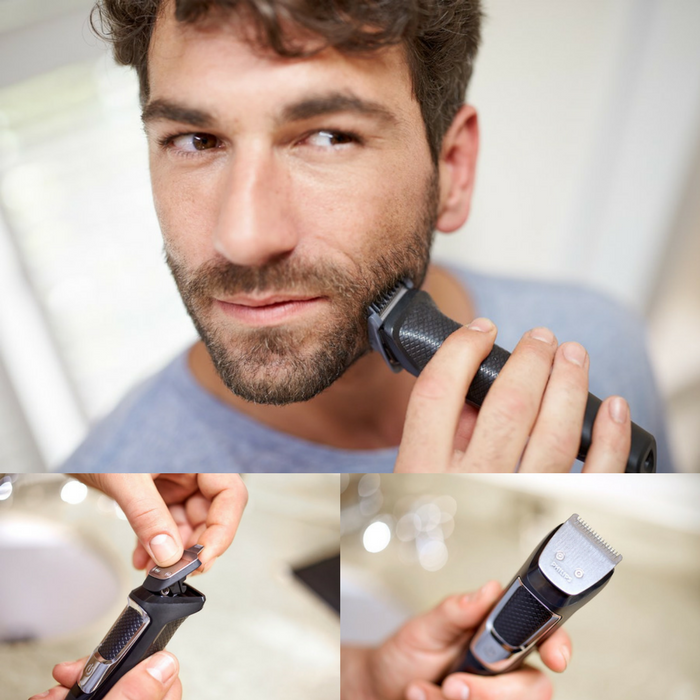 The trimmer includes 13 pieces to trim your face and head, including a full-size steel trimmer, steel detailer, nose and ear trimmer, 3 hair cutting guards, 3 beard trimming guards, 1 stubble trimming guard, and a storage bag. The durable trimmer includes impact-resistant cutting guards, a steel reinforced motor, and a powerful lithium battery delivering 60 minutes of run time.